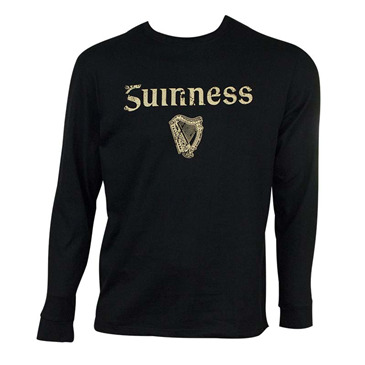 Officially licensed men's Guinness long sleeve tee shirt. 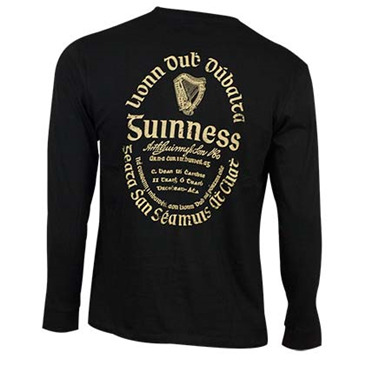 Comes in black and features a small "Guinness" logo on the front and large one on the back. 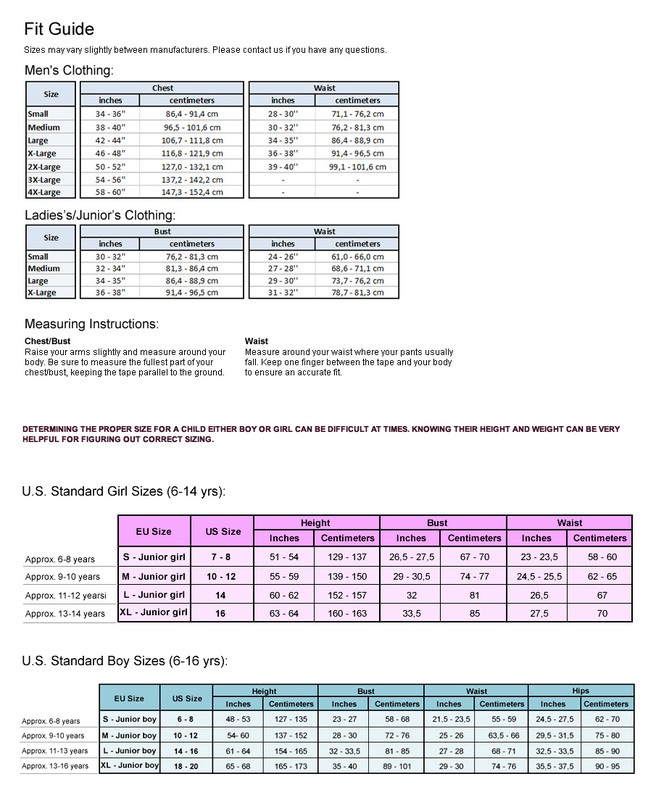 Made from 100% cotton.